Created by John Hardy designers, these drop earrings from the Palu collection put a little fun in refinement. Each earring consists of a sterling silver disc that has been gently hand-hammered to a rippled gloss and is trimmed with the classic chain design. These discs hang elegantly from French wires that have also been carved with the classic chain motif. 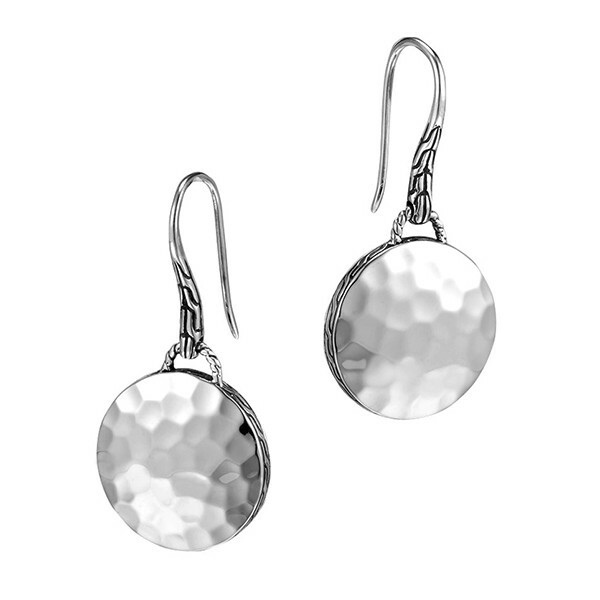 Dare to dangle in this pair of lovely John Hardy drop earrings.